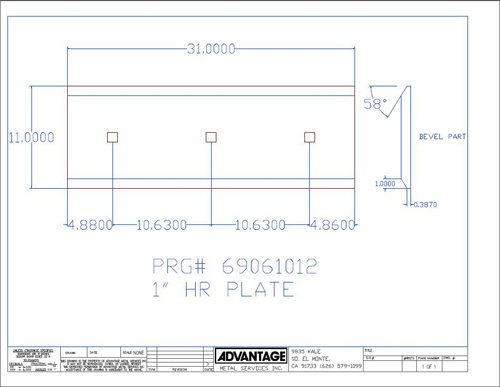 Advantage Metal Services, Inc was contracted by a customer in the heavy equipment industry because of our expertise in complex double part flame cutting. 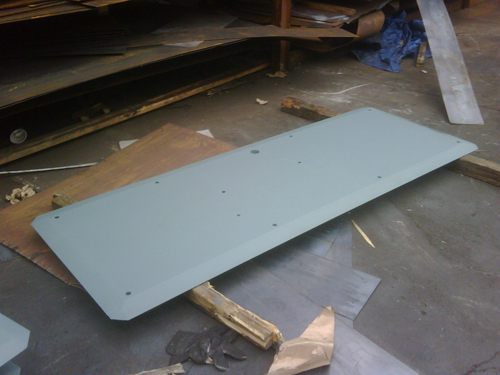 We also offer quick turnarounds on fabricated material and same day service on warehouse items. 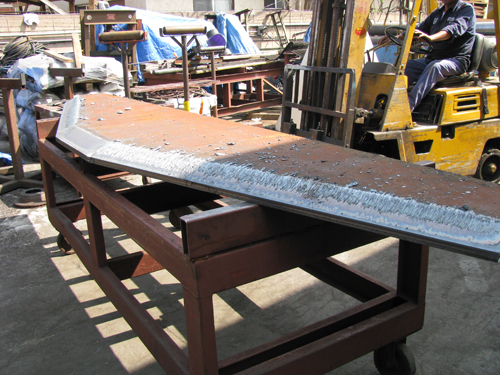 For this customer, we provided hot rolled plate beveling on components to be used within heavy equipment, such as bulldozer blades and crane parts. To accomplish this goal, the product is first cut as a 2D shape and then moved onto a custom fixture to cut the various side profiles. We can perform this process on parts up to 480" long, up to 120" wide, and up to 12" high, and within tolerances of ± 1/8". With over 20 years of experience, Advantage Metals knows how to take care of problems and how to deliver quality workmanship. To learn more about this hot rolled plate beveling project, any of our side cutting work, or our many other offerings, please do not hesitate to contact us. Hot Rolled Plate Beveling and Side Cutting We provided the beveling on components to be used within heavy equipment such as bulldozer blades and crane parts. Delivery Location California, Arizona, Nevada.